Status of hero sorting by level. 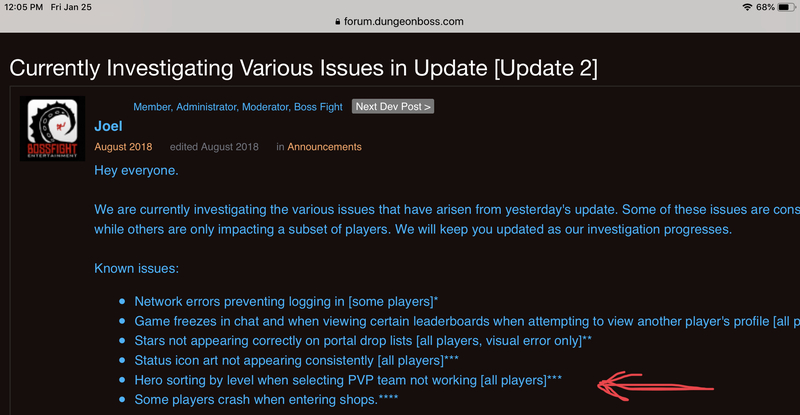 Last August the update introduced an error in hero sorting be hero level in PvP. This still exists for me. Is anyone working on it? You didn't get the memo @bvs72? You were in charge of fixing that. I did. I told them to restore the game to what it was in July 2018 and was ignored by the new regime.